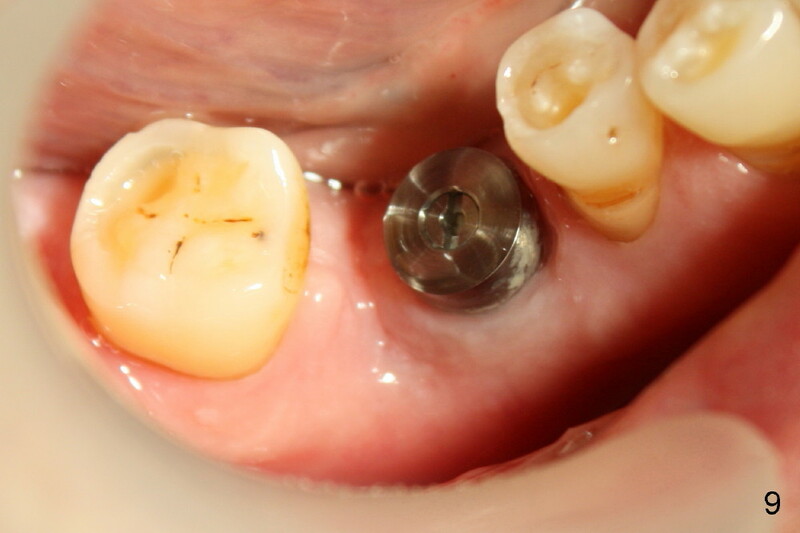 A 61-year-old man has severe periodontal disease. 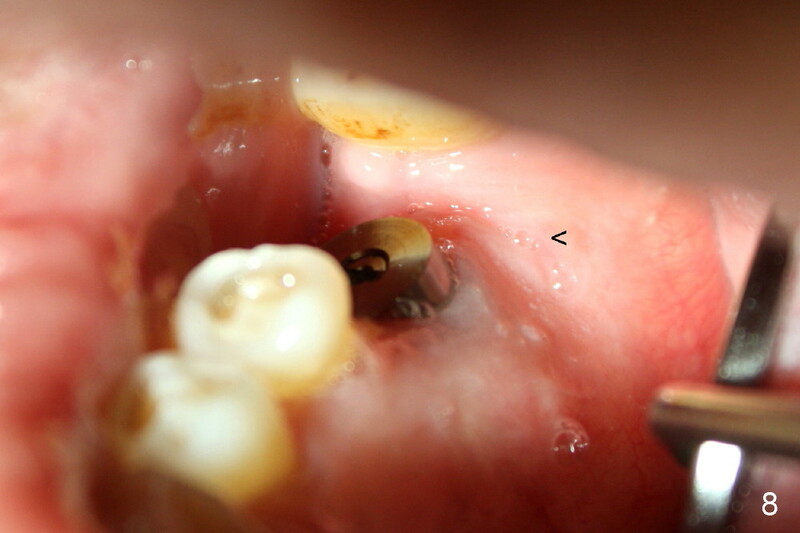 The lower right first molar is compounded by endodontic lesion. 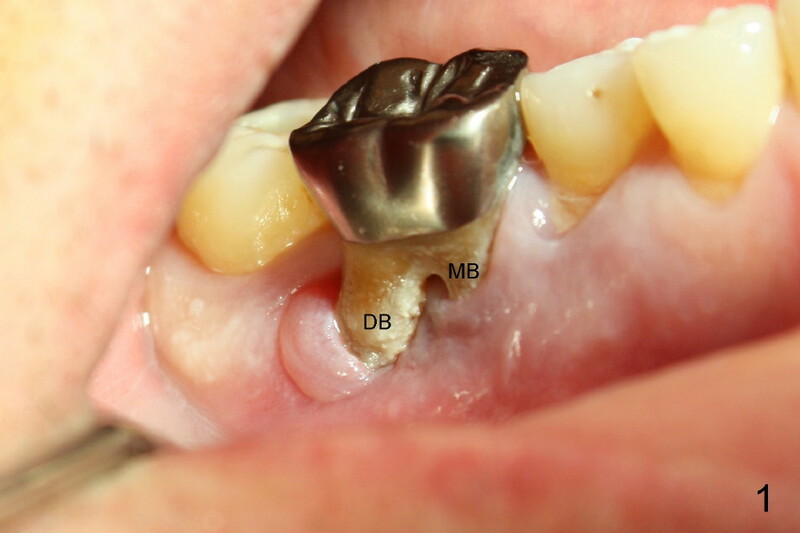 The distobuccal (Fig.1 DB) and distolingual (Fig.2 (mirror image) DL) roots are exposed. 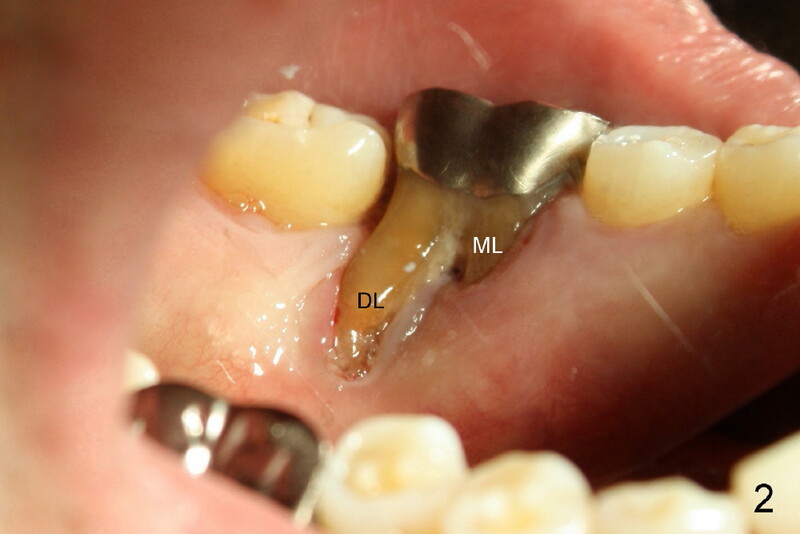 There are three sockets: mesial (M), distobuccal (DB) and distolingual (DL) following extraction. 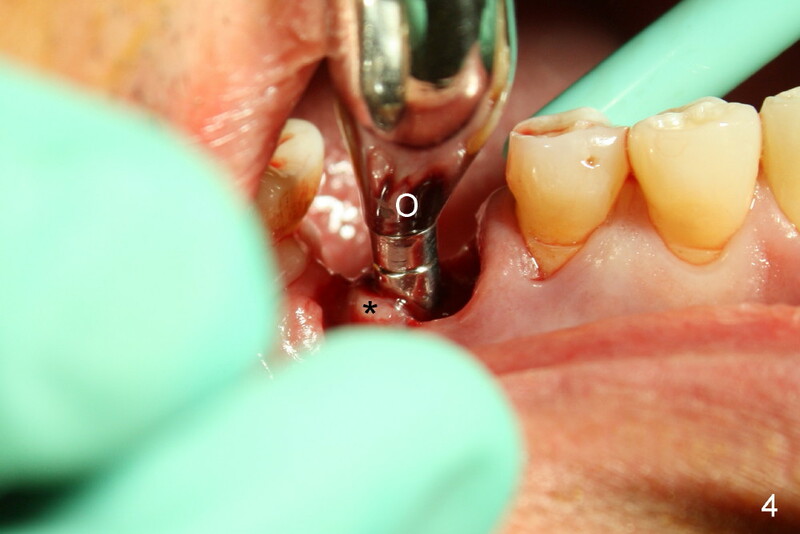 It is reasonable to place a large implant in the mesial socket with intention to push the septum and furcal gingiva (*) distally. A series of osteotomes (Bone Scalpel, Bone Blade, and Round Tapered, Tatum Surgical) are used to displace the septum and furcal gingiva (* in Fig.4; O: 5 mm RT). Drills are used to change osteotomy created by osteotomes more buccally. Taps are also applied. 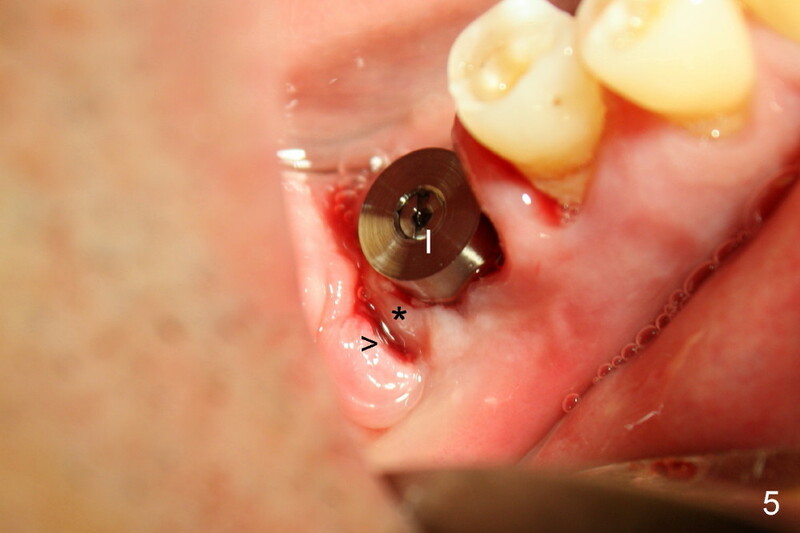 When 5x17 tapered implant (Fig.5 I) is inserted with torque >60 Ncm, the furcal gingiva (*) is further advanced distally to close DB socket (Fig.5 >) and DL one (Fig.6 <). 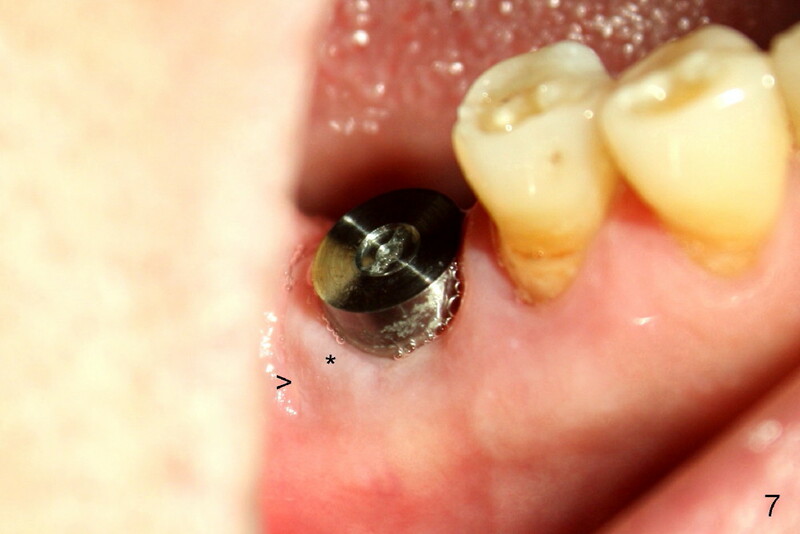 Twelve days postop, the DB (Fig.7 >) and DL (Fig.8 <) sockets have healed. 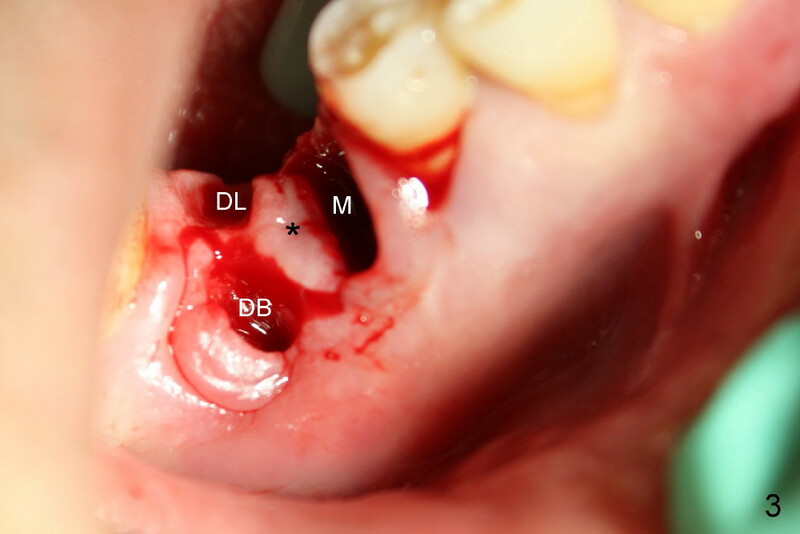 * in Fig.7 used to be the furcal gingiva. 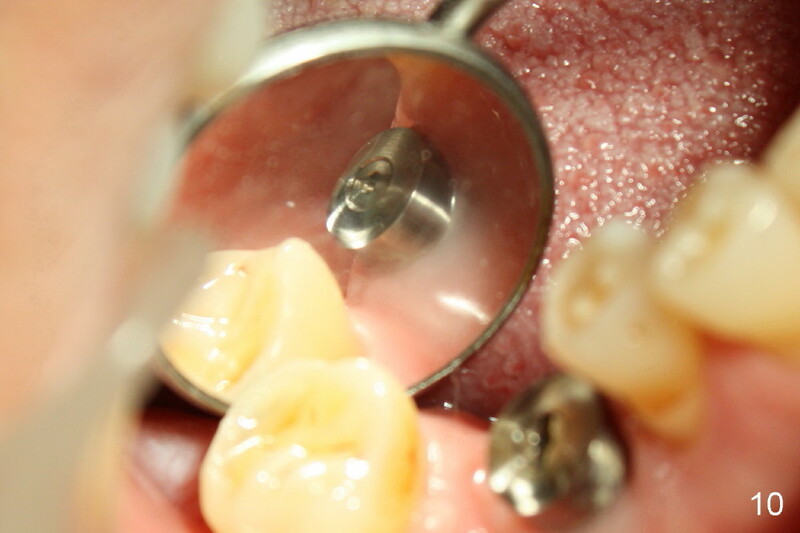 Fig.9 and 10 are taken 1 month 3 weeks postop. Today is 3 months 3 weeks postop. 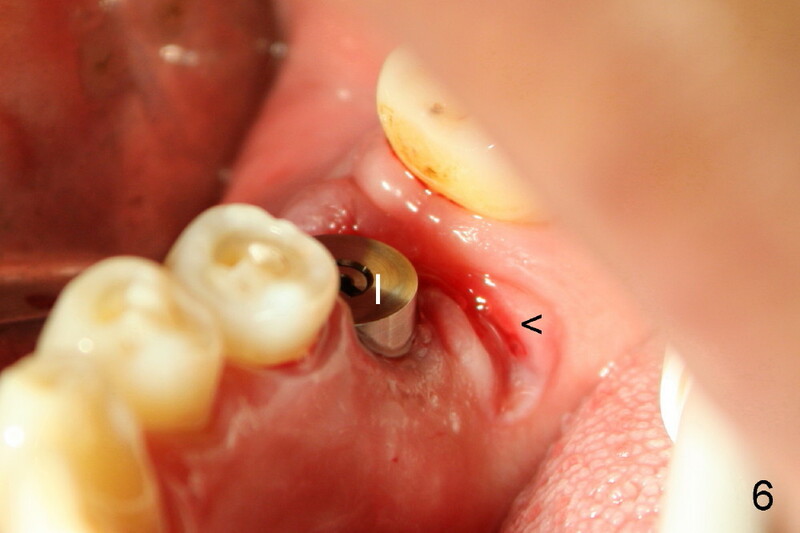 The implant is stable, while the surrounding gingiva remains normal. Healing cuff is placed. X-ray finding is more encouraging.